Wright after returning from Barrier. It was one of those serendipitous events during an eight-hour flight back to Christchurch, New Zealand, from Antarctica that I first came across a reference to Sir Charles Seymour Wright in Diana Preston’s, A First Rate Tragedy: Captain Scott’s Antarctic Expeditions. Like most Canadians, I had never heard of Wright, a Canadian who had a major impact on the 20th century. Born in Toronto in 1887, Wright would not only find the frozen remains of Captain Robert Scott and his men after their ill-fated expedition to the South Pole, but he would also collect the first fossil found in the Antarctic, co-write the first English language book on glaciology, invent wireless communication technology for trench warfare during World War I, and by the 1930s, lead the British team that invented radar. Ironically, Wright is well-known in New Zealand and Great Britain, but here at home he doesn’t register on the radar screen. After returning to Toronto, I began piecing together the life of this incredible Canadian who rates up there with other great Canadian scientific minds such as Sir Frederick Banting and Charles Best, co-discoverers of insulin. Dean Beeby, the author of In a Crystal Land: Canadian Explorers in Antarctica, told me Wright was the 20th century Canadian explorer he most admired. “When Wright was a teenager, he embarked on some incredibly demanding canoe trips in the Northern Ontario wilderness, learning firsthand how to deal with challenges of the outdoors. He also had a first-rate scientific mind, and was trained at some of the best schools in the world, including Upper Canada College, University of Toronto and Cambridge University. So he had this wonderful combination of skills that fitted him superbly to be an explorer. While studying mathematics and physics at the University of Toronto in 1904, Wright began a life-long association with the Canadian, British and American militaries that began with his enrolment in the Queen’s Own Rifles of Canada. By 1908, Wright’s original research into ‘penetrating radiation’ or cosmic rays (radiation produced by the sun and other stars) earned him a scholarship to Cambridge University. And it was while there that Wright developed a primitive form of what we now call a Geiger counter. Scott, eager to reach the South Pole after his failed 1902-03 expedition, was undoubtedly relieved when news came back that Shackleton’s 1908-09 expedition had just come short of reaching the South Pole. He lost no time in preparing for his 1910-13 expedition. “Amongst those who joined (Scott’s expedition) was Griffith Taylor, an Australian geophysicist and fellow student with Wright at Cambridge. 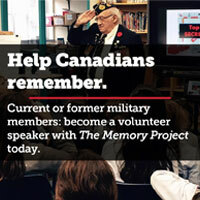 Taylor eventually settled in Canada, teaching geography at U of T,” said Beeby. “It was Taylor who talked Wright into joining Scott’s expedition. “Wright was concerned that his scientific duties relating to magnetism and meteorology would keep him hut bound and, therefore, disqualify him for the epic march to the South Pole. So he proposed that he be appointed as the expedition’s glaciologist which meant numerous field trips,” added Beeby. Scott accepted and the self-taught Wright would become an expert in the field of glaciology. In 1922, he would co-author the first English language book on the subject, entitled Glaciology. Departing on June 15, 1910, on the ship Terra Nova, Wright sailed into history with an expedition that fostered polar research, spawned numerous books, a movie (Scott Of The Antarctic), and the Scott Polar Research Institute at Cambridge University. On Oct. 12, while in Australia, Scott heard from fellow Explorers Club member Roald Amundsen who announced his intention to make a run for the South Pole. It had now become all the more urgent that Scott reach Ross Island by the beginning of January 1911 if he were to have any hope of beating Amundsen to the South Pole. The site chosen for the expedition’s Terra Nova hut was Cape Evans, which is roughly halfway between Shackleton’s 1908-09 Nimrod hut at Cape Royds to the north and Scott’s 1902-03 Discovery hut at Hut Point to the south. While in the Antarctic a couple of years ago, I was fortunate to be able to visit all three huts, each a frozen time capsule with many of their contents intact, including some of the scientific equipment Wright would have used at Cape Evans. On Jan. 28, Wright, Taylor and two others departed for the McMurdo Sound area to conduct a geographic and scientific survey of a dry valley that was discovered in 1903, but left unexplored during Scott’s first Antarctic expedition. What the party of four had entered was one of three neighbouring valleys collectively known today as the McMurdo Sound Dry Valleys. Though Antarctica is under an ice sheet averaging 1.6 kilometres in thickness, it is the driest continent on this planet. These three dry valleys–Taylor, Wright and Victoria–have been ice and snow free for at least two million years because of a geologic anomaly that elevated the area and forced glaciers to flow around them. Extremely powerful winds blast through these valleys during the winter months at speeds reaching 300 kilometres an hour, forcing all airborne moisture out of the valleys, and quite possibly making this area the driest region on earth. “These valleys are so harsh, and unique that NASA currently uses them to simulate conditions on the frozen surface of Mars,” said Natalie Cadenhead of Antarctica New Zealand. Limited to around two dozen visitors a year, I was picked as part of a party of five to camp out in the Wright Valley. Wright, Taylor and their two companions spent a week exploring the most southern of the three dry valleys. Not surprisingly, it was named Taylor Valley after the team’s leader and geographer, Griffith Taylor. Wright went on to discover and name Canada Glacier, as well as Mount McLennan, Mount Coleman and Mount Falconer, all of whom were named in honour of University of Toronto academics who respectively held the positions of professor of engineering, head of geology and president of the university. Cadenhead would later point out that, “In 1958 at the behest of New Zealand, one of the three McMurdo Sound Dry Valleys be officially recognized internationally as Wright Valley in recognition of Sir Charles’s contribution to scientific exploration.” She added that there were also a Wright Bay and Mount Wright. The big push to the South Pole began on Nov. 2, 1911, with Wright in charge of a pony named Chinaman, who only lasted until Nov. 28 when it finally died. 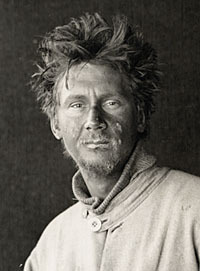 Unlike Amundsen, who wisely chose dogs over ponies and motorized vehicles, Scott made several mistakes, including not bringing along enough sled dogs, which were far superior to ponies in a polar environment, and more importantly, he miscalculated the amount of food required for the expedition. In her book, Preston estimates that Scott’s men burnt 6,000 calories per day, while their diet only provided 4,500 calories. Wright began to personally question Scott’s ration calculations during the trek through Taylor Valley. By Dec. 9, the last pony had died and now the quaint British tradition of men hauling heavy sleds laden with supplies over extremely rough terrain began in earnest. Amundsen thought this practice to be insane, and stuck with dogsleds and cross-country skis, which lowered the calorie consumption of his men and increased their speed. On Dec. 18, Wright picked up the first fossilized sponge ever found in the Antarctic. On the 20th, Scott informed Wright that he wouldn’t be a member of the team that would make the final run to the South Pole. Based on Wright’s entry in his diary he was visibly upset, referring to Scott as “a fool.” In any case, not being picked for the ill-fated trek was a blessing, since Amundsen had already reached the South Pole on Dec. 14; the Norwegians had won the prize. Wright and three companions were the last ones to see Scott and his South Pole party alive. They completed their brutal journey back to Cape Evans on Jan. 26, 1912. By March it was evident that Scott’s party had perished, but due to severe weather a rescue attempt organized by Wright was aborted, so the survivors settled in for the long austral winter. On Oct. 29, with Wright leading as the navigator, a party set out to find the bodies of Scott, Edward Wilson, Henry (Birdie) Bowers, Captain Lawrence (Titus) Oates and Edgar Evans. On Nov. 12, Wright spotted a speck on the horizon and almost a kilometre away found the frozen remains of Scott, Wilson and Bowers. Reading Scott’s diary, the search party concludes that they died on March 29, after having reached the South Pole on Jan. 17. In his diary Wright wrote, “Found Owner (Scott), Bill (Wilson) & Birdie (Bowers) in tent. Evans went mentally first then physically at foot of (Beardmore) Glacier, Feb. 15th. Titus (Oates) got a badly frostbitten foot but struggled on till Mar. 17. Knowing then he had no hope & realizing that he was a drag on the party, he walked out into a blizzard about 19 m. (miles) south of here. A damn fine finish (referring to Oates’s self-sacrifice). The other three were caught here short of oil & food by a blizz (blizzard) on Mar. 22. Last entry on the 29th. Last entry in Owner’s diary “for God’s sake look after the rest”. Cold and exhaustion did for them, capped by the week’s blizz (blizzard)”. The next day they set out looking for Oates, only to find his sleeping bag and one of his boots. After returning to Scott’s final campsite, Wright found a note retrieved by Scott from Amundsen’s tent at the South Pole. It was written by Amundsen and addressed to King Haakon of Norway. Putting it in his pocket, Wright and the rest of the search party returned to Hut Point. The final entry in Wright’s diary simply reads, “Hut Pt. and (cross)”. On that day, Wright and seven others erected a cross in memory of Scott and companions, on top of Ross Island’s Observation Hill. Leaving the Antarctic, Wright returned to Cambridge via Canada where on June 10, 1913, he received a hero’s welcome at Toronto’s Union Station. He then proceeded to England where he was appointed lecturer in the geography department at Cambridge. Interested in wireless transmission, Wright joined the Signals Section of the Cambridge University Officer’s Corps. With the outbreak of WW I, he was commissioned second lieutenant with the 2nd Army Wireless Company, Royal Engineers. During the war, Wright developed wireless trench communications for both the French and British armies, and thus began his life-long career in military research. By 1918, he was awarded the Medal of Chevalier of the French Legion of Honour as well as the British Military Cross. He was also made an Officer of the Order of the British Empire. By war’s end, Wright had been promoted to major, and he finished off his military career in Wireless Intelligence with the British General Staff. Joining Britain’s Admiralty Research Department, along with Professor John McLennan of the University of Toronto, Wright helped establish a new military research branch. In 1934, Wright became the Director of Scientific Research at the Admiralty, a position he held until 1946 when he became the first chief of the Royal Navy Scientific Service. In the same year, for heading the team that led to the early development of radar, Wright was appointed Knight Commander of the Order of the Bath and became Sir Charles Wright. Wright moved back to Canada in 1947, but before he could settle into retirement he was asked to become the scientific advisor to the British Joint Services Mission in Washington, D.C., and this developed into a pattern of contracts that would keep him active in scientific research until 1969. During this period he also worked at Scripps Institute of Oceanography in La Jolla, Calif., the Pacific Naval Laboratory in Esquimalt, Royal Roads Military College and the University of British Columbia. His research at the Pacific Naval Laboratory led to his return to the Antarctic with the U.S. Navy in 1960 and 1965. In 1969, Wright retired permanently and moved to Salt Spring Island, B.C., where he resided until his death. On Nov. 13, 1975, his ashes were consigned to the sea from the deck of HMCS Restigouche off Esquimalt.